How do you make more money at your business? There are lots of great ways, increase pricing, reduce costs… but that’s a little vague. Here are five you may not have thought of… it’s just a fun little list to get you thinking! Automate Something – you need to take time to figure out what you can put on auto pilot. Even if it’s something as simple as a vending machine or an automatic lock on the bathrooms. Email lists combine with automated marketing are great ways to reduce mailing costs (and staff time stuffing envelopes) but you do need to use caution not to lose a personal touch with your customers. Turn things off – this is a great idea! When you plug your appliances into a stop strip that has an on/off switch you actually stop the power source to the item. There’s always a draw to your electronics, when you “stop the power” you save money. Sell More to Current Customers – increase your average ticket sale! Your current customers already love you… bundle items and make them more attractive to the customer. Sure you might make “less” per item, but the increased volume will show on your bottom line. Reevaluate your vendors – you need to do this, especially with credit card processors. Prices increase all the time… you need to stay on top of these costs. It’s important to have great relationships with your vendors but you also need to make sure the relationship works for both of you financially. Take a Break – when it doubt, take a break. You need to refresh yourself. If you are constantly working it’s not good for your creativity. Get a way, take a walk, listen to music… do something to give your mind a rest. 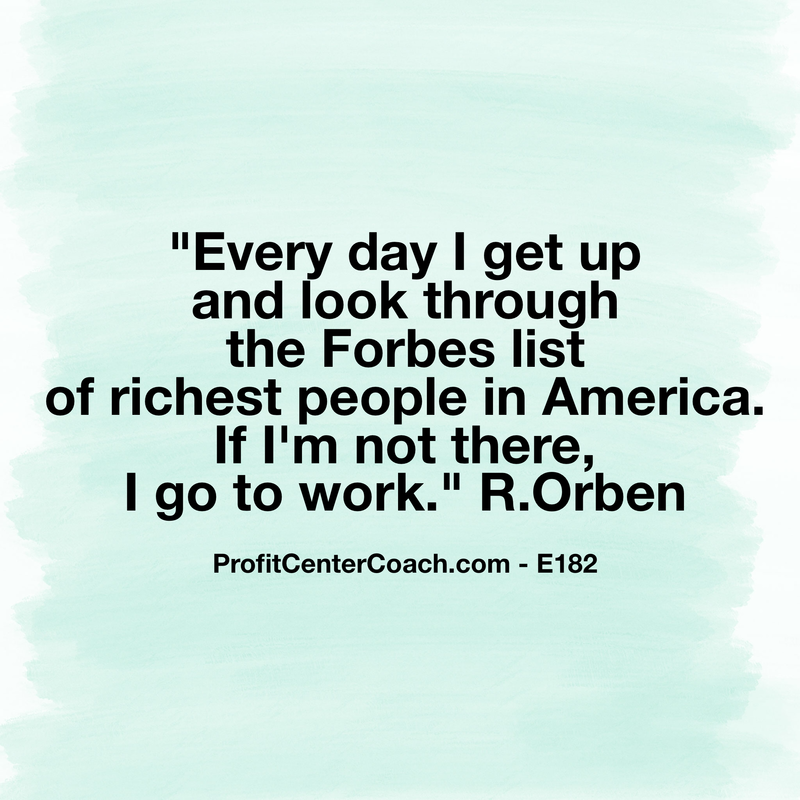 It’s a great way to think about how to make more money!